[PDF] Mathematical Olympiad in China (2009-2010): Problems and Solutions | Free eBooks Download - EBOOKEE! Description: The International Mathematical Olympiad (IMO) is a competition for high school students. China has taken part in the IMO 21 times since 1985 and has won the top ranking for countries 14 times, with a multitude of gold's for individual students. The six students China has sent every year were selected from 20 to 30 students among approximately 130 students who took part in the annual China Mathematical Competition during the winter months. 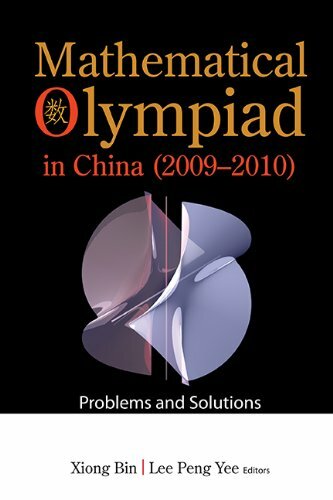 This volume of comprises a collection of original problems with solutions that China used to train their Olympiad team in the years from 2009 to 2010. Mathematical Olympiad problems with solutions for the years 2002 - 2008 appear in an earlier volume, "Mathematical Olympiad in China". No comments for "[PDF] Mathematical Olympiad in China (2009-2010): Problems and Solutions".